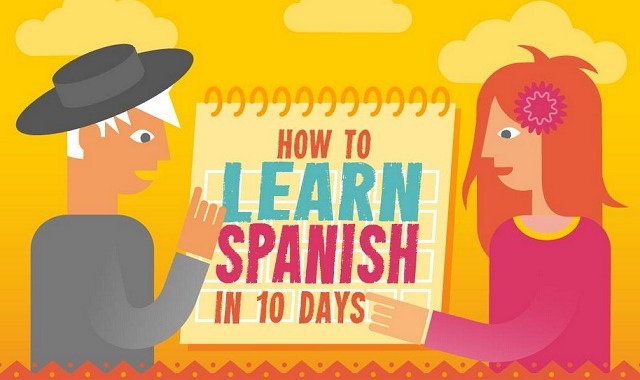 How to Learn Spanish in 10 Days #infographic ~ Visualistan '+g+"
Spanish: it's the first language for 329 million people across 44 countries - and the second most widely spoken language in the world. For English speakers, it's an easy language to conquer, with most words pronounced as written and fewer irregularities in grammar. So set aside 10 days and start learning!